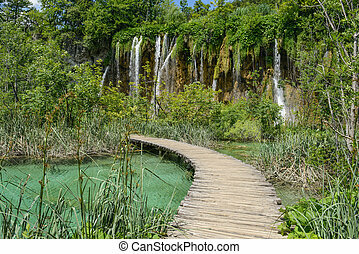 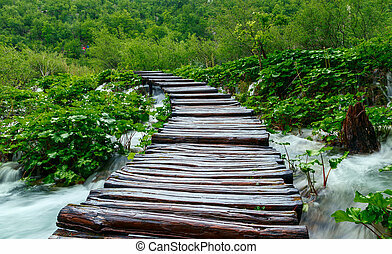 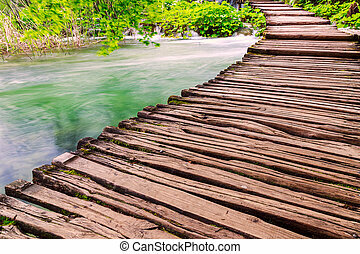 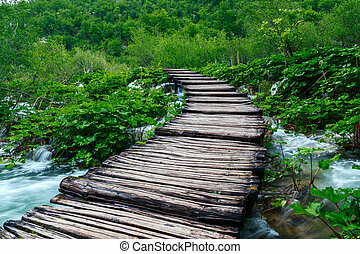 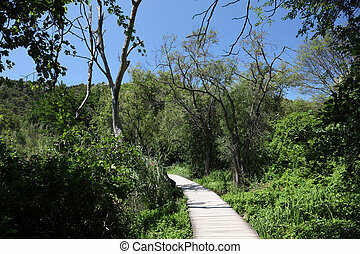 Wooden path in national park in plitvice in croatia. 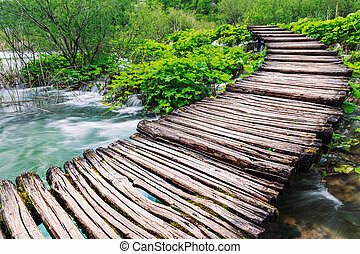 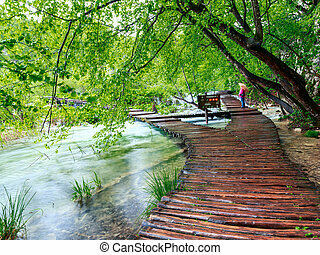 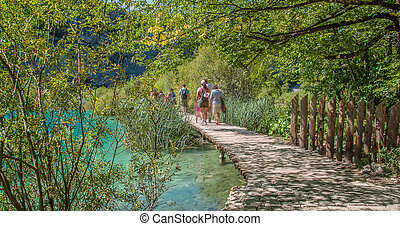 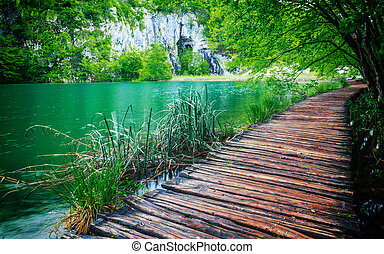 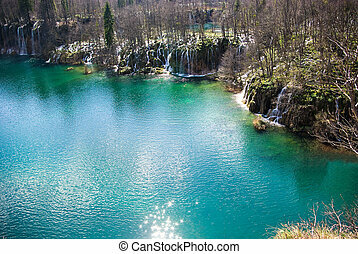 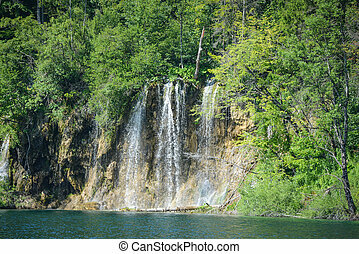 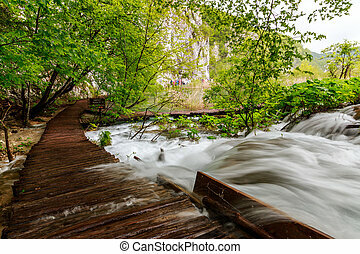 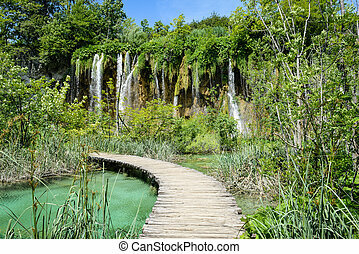 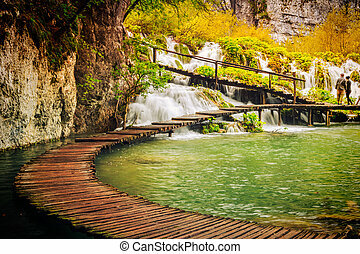 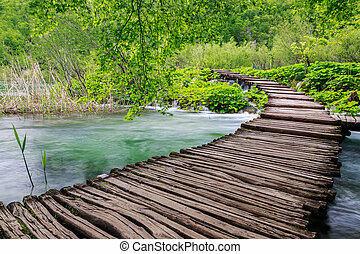 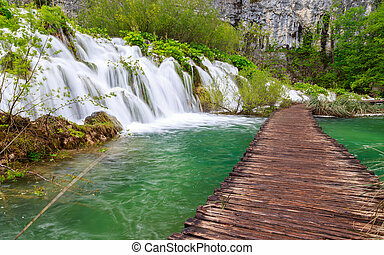 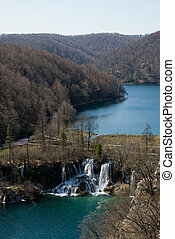 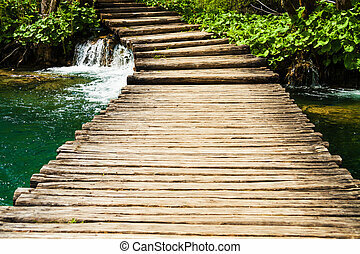 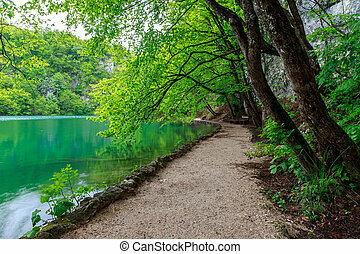 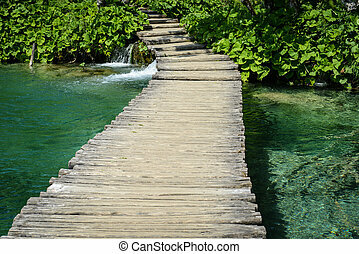 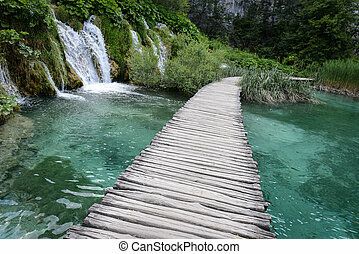 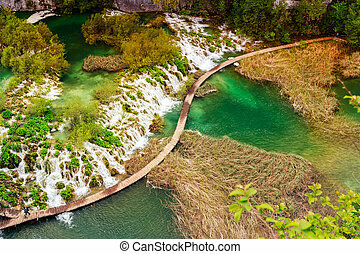 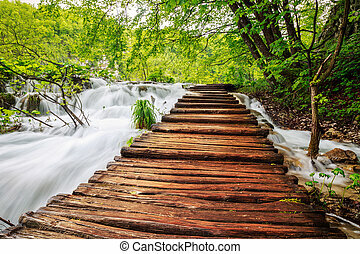 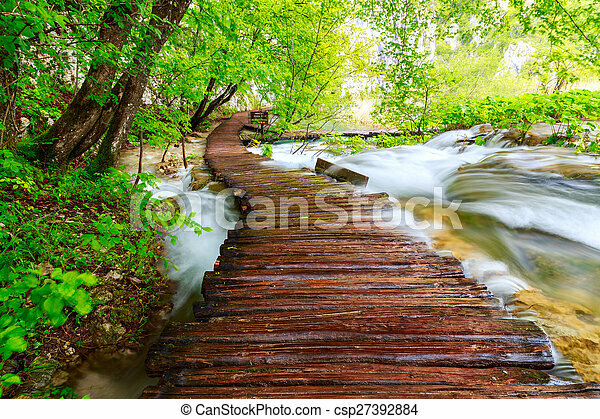 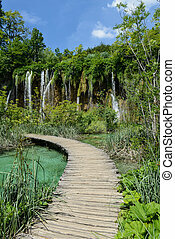 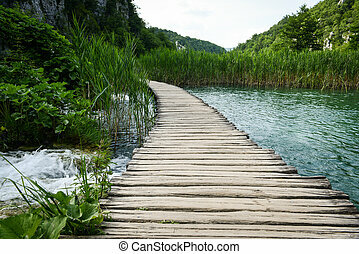 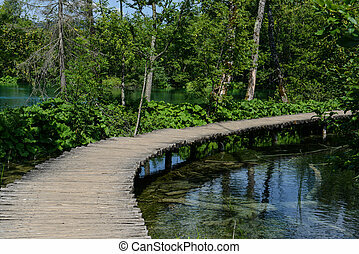 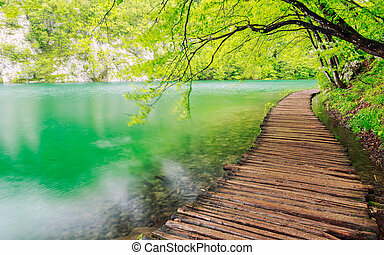 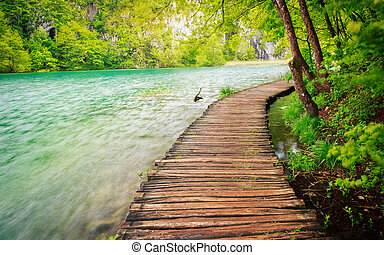 Wooden tourist path in Plitvice lakes national park, Croatia, Europe. 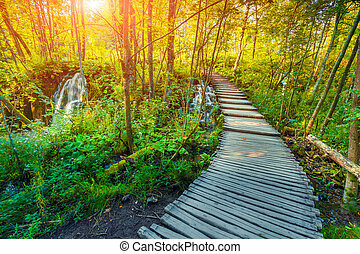 Colorful summser sunrise.